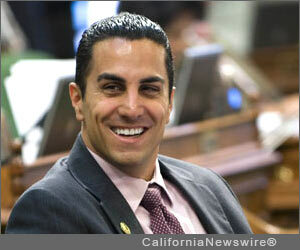 SACRAMENTO, Calif. /California Newswire/ — On Wednesday, the California State Senate overwhelmingly adopted a resolution authored by Assemblyman Mike Gatto (D-Los Angeles) that directs the federal government to use its constitutional treaty powers to require trading partners to gradually raise their minimum wages, raising the standards of living in those countries and making U.S. workers and exports more competitive. According to Gatto, artificially depressed global wages, like Indonesia’s minimum wage of 46 cents an hour, make it nearly impossible for higher-paying nations to compete. These practices are increasingly viewed as a form of unfair trade, much like the currency manipulation that Mitt Romney so famously decried during his 2012 presidential campaign. Congress, by statute, has ordered the United States Trade Representative to seek input from the fifty states on the effects of, and policies relating to, globalization. Assembly Joint Resolution (AJR) 12 states California’s position on that issue: future treaties, trade agreements, and relevant international protocols should require a gradually increasing wage in developing countries. Since the dawn of the republic, the United States has used its treaty power to require things like free elections (with Iraq, after the Iraq war), respect for U.S. companies’ patent and intellectual property rights (in various treaties), and of course, currency valuations (in the various Bretton Woods accords, etc.). The Senate passed AJR 12 by a vote of 26-10. The concept in AJR 12 has been supported and championed by economist Richard Duncan, author of “The Corruption of Capitalism: A strategy to rebalance the global economy and restore sustainable growth,” and a frequent television contributor. Duncan is the Chief Economist for Blackhorse Asset Management, which is affiliated with several high-performing hedge funds. Duncan is not alone among cutting-edge economists who view this policy as one of the few proposals that can actually help correct the vast trade and currency imbalances caused by globalization.